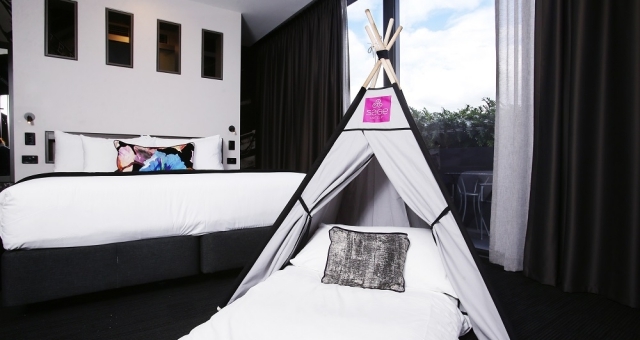 Sage Hotels has developed ‘Once Upon A Teepee’ with some fun glamping adventures for kids these school holidays in their five Australian locations – Wollongong, West Perth, Adelaide, Ringwood (Melbourne) and James Street in Brisbane. 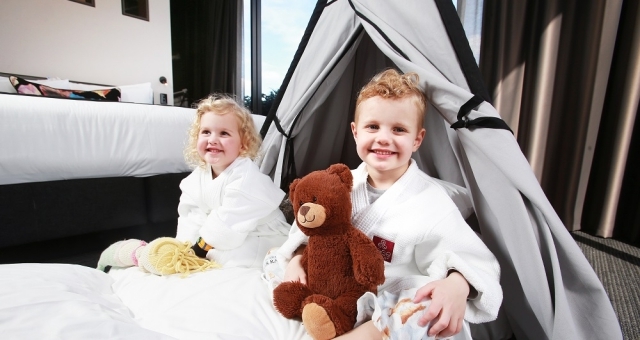 “With glamping Teepees, complimentary take-home kid’s robes, activity packs, complimentary kid’s meals, colouring competition and more, Sage Hotels want to ensure that the holiday magic keeps going day and night,” said Darryl Healey, VP of Marketing for Next Story Group. “Our packages are designed to encourage kids to improve their social skills, use their imagination and adapt to different environments. “Each of the Sage Hotels has something different to offer. From free movies and popcorn, to colouring and activity kits, kids will never get bored when the daily fun of outdoor activities comes to an end,” Healey said. He said the offer is available now with packages starting at $129 per night.